Adrian Duke's new augmented reality smart-phone app lets you point your phone at a tagged location and watch the story of the place come to life. It's called Wikiupedia and it's meant for telling Indigenous stories. It's like Google Maps, Wikipedia, Pokemon Go and a Canada Heritage minute all mashed together. Adrian is beta testing it now and wants 600 stories loaded in time for its official launch in June. Imagine Google Maps, Wikipedia, Pokémon Go and a Canadian Heritage Minute, all rolled into one. Now, imagine it all on your smartphone. The app in question is called Wikiupedia. It's the brainchild of Adrian Duke, a tech entrepreneur who comes from the Muscowpetung First Nation in Saskatchewan. He imagines it as a powerful tool for sharing and preserving Indigenous history, by crowd-sourcing stories from across Canada. The app is currently in beta testing. Duke hopes it will be available in app stores this summer. 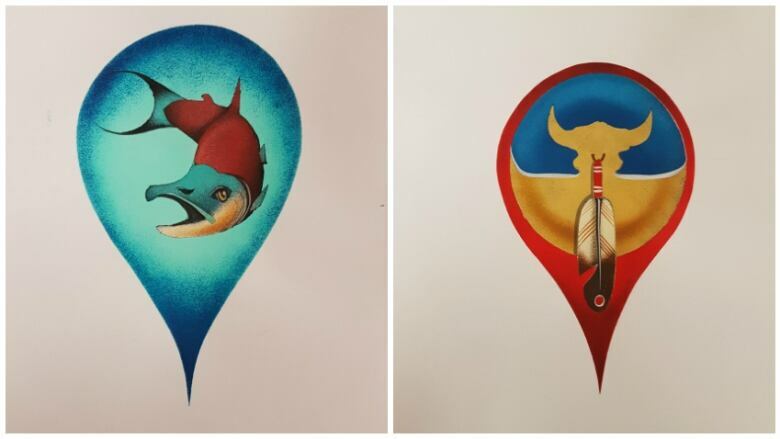 "Wikiupedia is a location-based story catching app that allows the Aboriginal community to share their stories, traditional knowledge, and any other information that they would like, using a bunch of different media sources," explains Duke. The app, named after a traditional Indigenous hut called a "wikiup," will include content in the form of videos, images, audio and augmented reality. The augmented reality aspect will display a graphic on your screen that layers on top of what's actually there, creating a composite image. Much like Wikipedia, users from all over can submit stories and information. However, not every submission will make it to the app. Duke says a rigorous vetting process that includes verification by "authenticators," or cultural guides will be part of the process. Each story will be tied to a specific geographical location or Canadian landmark. 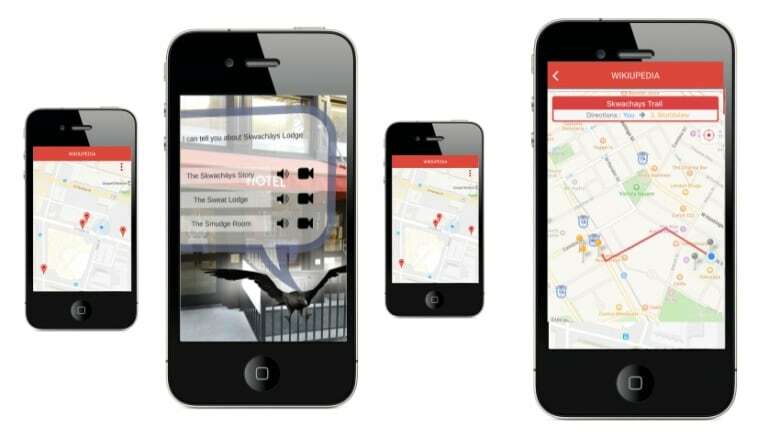 This function will allow users to learn about the historical context of their surroundings. If contributing to a cultural archive isn't incentive enough, Wikiupedia also rewards users with $50 if their stories and graphics are green lit. Much like Pokémon Go-type apps, Duke says Wikiupedia will encourage people to go out and explore their local area. Programs like this, Duke says, stand apart from things like Twitter and Facebook. "Social media has really isolated people more than it's connected them in many ways. Technologies like this one are changing that paradigm a bit, and actually getting people to go outside and connect with information in a unique way," he explains. Duke, who moved from Saskatchewan to Vancouver to attend the British Columbia Institute of Technology, says his main goal with Wikiupedia is to uphold Indigenous culture. Exploring the intricate history of Indigenous people will incite more appreciation and acknowledgment, Duke says. Funding for the app came from The Department of Canadian Heritage, as part of the Canada 150 celebrations, the theme of which is reconciliation. "Hearing truth and having a positive interaction is the first step towards reconciliation," Duke says. "Obviously we're open to taking any kinds of stories, including the hard-hitting stories about residential schools and tough topics like that. 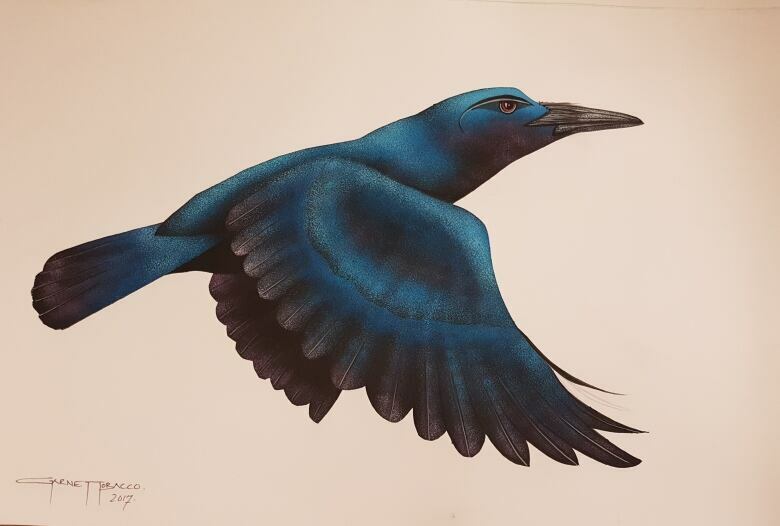 But it's also there as a way for people to have a first experience with Aboriginal culture." 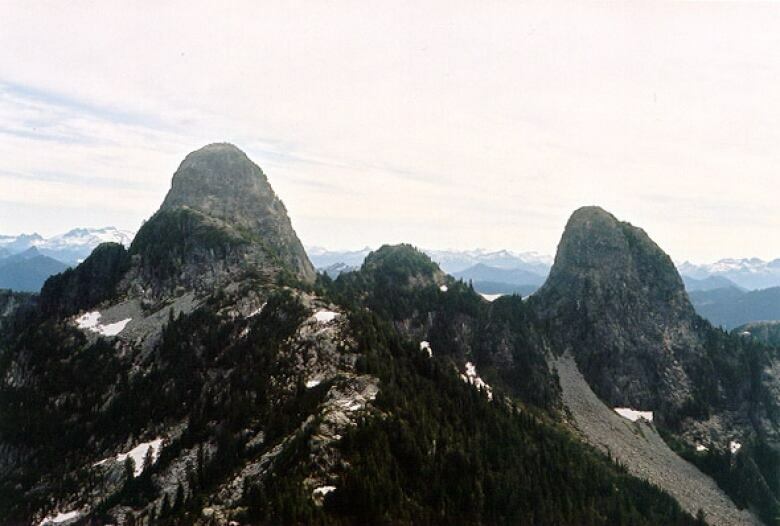 Adrian Duke says he would like to see someone submit the Squamish story about the Twin Sisters, a pair of mountain peaks visible from metro Vancouver. Locals know the pointed peaks as The Lions. Duke says storytelling is an integral part of Indigenous heritage, which is why he and his team are working to ensure authenticity in the app's approach. "It's how those stories would traditionally be shared," he explains. "It's the modern way to do it." So although the target demographic of the app is young people, he says he hopes Wikiupedia will foster "intergenerational connectivity". Even though the app isn't live yet, Duke says the reaction from Indigenous communities has been "overwhelming." Once up and running, he expects the stories to cover a lot of ground. "We have so many people lined up, all the way from Newfoundland and up in the Northwest Territories and Nunavut. We expect to have a really wide range of stories on the app." If Duke were to submit a story to the app, he knows exactly what his first choice would be. "I'd like to tell the story of the Twin Sisters, which is commonly known here in Vancouver as The Lions. It's a pair of mountain peaks," Duke explains. "It's a Squamish story about two sisters who basically created peace between the nations in the area. And the transformer — a mythical creature if you will, or a legend — thought it was such a great thing that he wanted to make it permanent, and have them watch over and keep peace on the land. So he created those two mountain peaks and named them the 'Two Sisters'." If there's a story you'd like to see on the app, visit Wikiupedia.com or email Adrian Duke directly at adrian@kanatafestival.com.